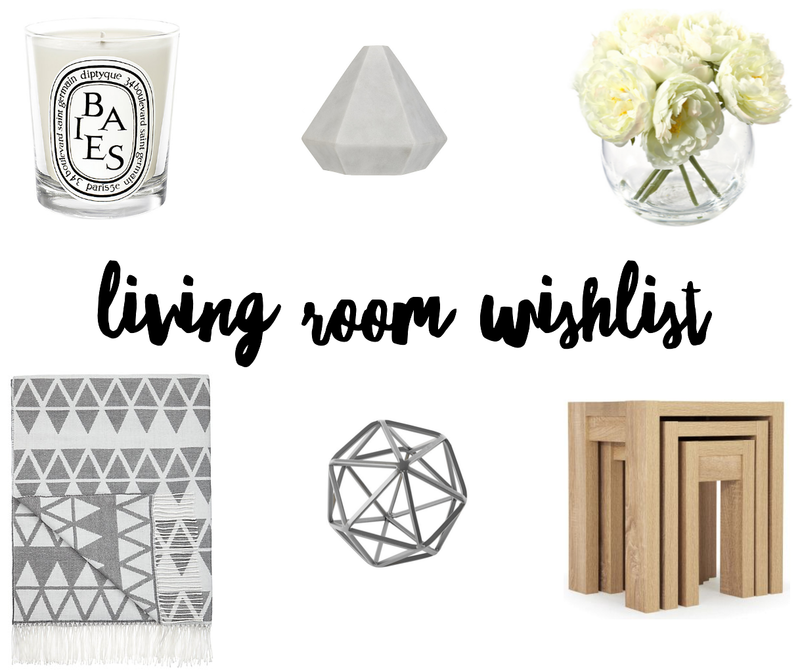 It's been a while since I last did a wishlist post, but I've recently been on the hunt for some new home decor bits & pieces and have now gathered a little wishlist of items I've currently got my eye on to update our living room. We moved in almost a year ago now and I've loved buying bits here and there to make it our own. If you haven't already read seen it, you can find the tour of our living room here, which I wrote late last year and to be honest, it hasn't really changed much since then - but it's definitely ready for a little refresh. I'm a huge candle lover and have wanted to purchase this Diptyque candle for a while now. I also absolutely love peonies and these artificial ones from John Lewis are just gorgeous (I can't seem to find them online anymore) but I think they would look lovely on our dining table. I would like to purchase some new decorative accessories too which I can just switch around and a nest of tables, which matches the rest of the furniture we have. I think the tables would be so useful, especially when we have friends over. Lastly, there's the throw and I love the pattern on it & it can be used all year round too. Do you like my living room picks? I really like the nest of tables! Cute and useful. I love that throw, it's just my kinda thing! Gorgeous choices.